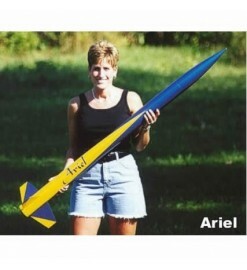 > ROCKET KITS>High Power Rockets>Rocket kit Ariel - Public Missiles Ltd. 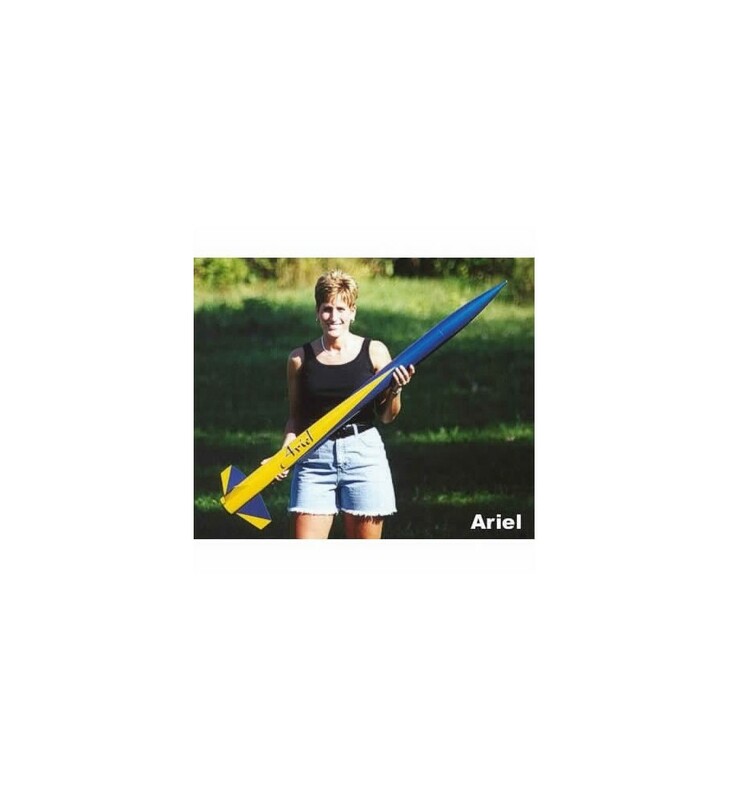 The Ariel is a perfect Level 1 rocket and will allow you to lift a medium sized payload to many thousands of feet using G through I motors! Comes with a "Kwik-Switch" motor mount. Every Public Missiles Ltd. kit includes the exclusive piston ejection system which eliminates the use of wadding and greatly helps the parachute to come out. Motor retainer, motors, glue and paints are not included.